New Delhi, Oct 25 (IANS) The Supreme Court on Wednesday reserved its order on Jaypee Associates’ plea on hiving off toll collection on the Yamuna Expressway to raise Rs 2,000 crore, as the Centre told the court that assets of Jaypee Infratech, facing insolvency proceedings, can’t be hived off. As Attorney General K.K. 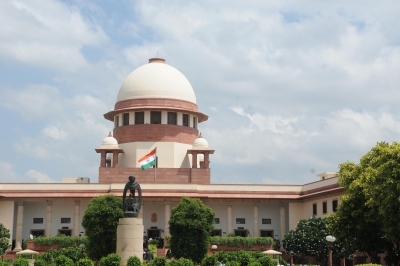 Venugopal opposed the hiving off of toll collection, a bench headed by Chief Justice Dipak Misra reserved order on Jaypee Associates Limited (JAL) application for a court nod to part with toll collection on the expressway. The Yamuna Expressway Authority too opposed hiving off of the toll collection operations. The court had directed Jaypee Associates on September 11 to deposit Rs 2,000 crore with its registry by October 27. Jaypee Associates Limited is the holding company of Jaypee Infratech Limited (JIL), which is facing insolvency proceedings following a complaint by IDBI Bank which sought recovery of Rs 526 crore from the company. Venugopal told the bench of Chief Justice Dipak Misra, Justice A.M. Khanwilkar and Justice D.Y. Chandrachud that JIL can’t hive off the “insolvent assets belonging to Jaypee Infratech”. The AG referred to the apex court’s September 11 order that JIL, which was not a party to insolvency proceedings, “shall deposit Rs 2,000 crore with top court’s registry before October 27, 2017”. The apex court order had also said that to raise Rs 2000 crore, “if any assets or property of JAL have to be sold, that should be done after obtaining the prior approval of this court”. Senior counsel Parag Tripathi, appearing for the Interim Resolution Professional (IRP), told the court that Jaypee Associates can’t, on their own, part with the toll collection operations as the Yamuna Expressway Authority and the state of Uttar Pradesh too were stakeholders in the expressway. Trying to clarify on the impression that Rs 2,500 crore would come soon after the top court gave its nod to Jaypee Associates’ application, Tripathi told the apex court that it would take time as the entire exercise involves putting in place the Interim Resolution Plan. “Mere hiving off will not bring in money. It will come after 22-plus weeks of (putting) an Interim Resolution Plan in place,” Tripathi said. Senior counsel Kapil Sibal told the court that the market value of Jaypee Infratech’s assets was Rs 17,000 crore and Rs 14,500 crore in distress whereas the total liability was around Rs 9,000 crore. Sibal said toll collection operations were being handed to a Singapore-based company already handling similar work on four national highways. Reserving its order, the Supreme Court said all those flat-buyers who want flats will have to take recourse to approaching the National Consumer Disputes Redressal Commission since getting money thus was easier. The case is rooted in a plea by unsecured creditors — who are flat buyers — to challenge an August 9 order of the Allahabad Bench of the National Company Law Tribunal to appoint IRP on IDBI Bank’s plea for recovery of Rs 526 crore from Jaypee Infratech. On September 11, the Supreme Court had restrained the Managing Director and all Directors of both the companies from leaving the country. However, Directors nominated by lender banks — IDBI Bank, ICICI and the State Bank of India — were exempted from the travel restraint. The court had appointed senior counsel Shekhar Naphade and advocate Shubhangi Tuli to represent the home buyers at the meetings of the Committee of Creditors that would consider the plan for restructuring Jaypee Infratech by the Interim Resolution Professional appointed by the NCLT.